Ooops! This page is no longer order ativan canada active. CLICK HERE to buy Midnight Eclipse. 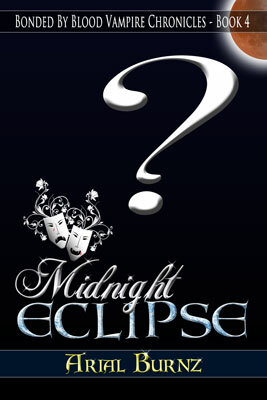 I have enjoyed all the bonded by blood books and just finished midnight hunt and cannot wait for midnight eclipse. I will pass on the Chandler’s story not my thing but will try Jericho’s story. I have some friends – a couple – who read my books and the husband of the two told me he wanted me to write a book with a hot Asian chick (his wife is of the Asian persuasion – lol), so Jericho’s girlfriend will indeed be that Asian chick. Oooo, she’ll be a spitfire, too, just like my friend’s wife! LOL Not sure when that story will be out. Entrenched in the research for Midnight Eclipse and I have a few other irons in the fire, too. I’m HOPING Book 4 will be out in the Spring. Thank you so much for stopping by and leaving a comment. Yer a gem!! Am enjoying reading the BBB series and having just finished BBB hunt book 3, I didn’t even hesitate punched in Amazons addie and then yours and then disappointment +++++ its not out yet oh Arial how could you, please pretty please finish it and quick. In all seriousness though when do you expect to release it???? How am I going to exist until you publish our Ricks book 4.???? And heck how is book 5 coming along Arial??? Not pushing you much BUT……. 1. I’ve been working on producing a paranormal podcast and it’s been taking up a lot of my time. It’s been great and I love the end result, but it’s take up more time than I originally anticipated, so I’m finishing up the last of the interviews I’ve recorded and getting all those posted. If you’d like to take a listen to what I’ve produced so far, check out PNRRadio.com. I have three episodes posted and a fourth one coming soon. 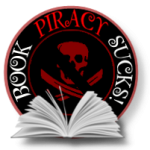 I’ve interviewed HP Mallory, Catherine Bybee, Mark Pellegrino (actor who plays Lucifer on Supernatural), Nalini Singh (Episode 4), and a few other wonderful authors and actors. 2. I’ve also been working on plotting out, in detail, the rest of the series. I painted myself into a corner with what I wrote and published in Book 1, so I’m having to jump through some major hoops just to fix what I already put out there. Lesson learned: Don’t publish a series until I’ve at least written the first draft on all the books. I’ll be sending out a newsletter with the updates, so be sure to subscribe to my mailing list to get the skinny on what’s happening. Thank you again for your interest in my series and I’m really glad you’re enjoying it!! Awwww! Thank you!!! *blushes* Yer a gem, Margie! I’m looking forward to seeing your reviews! Love love love your books! When will Midnight Eclipse be out? Soon!!! I painted myself into a corner with something I put WAAAYY back in Book 1, and I spent a few months trying to get myself out! What a chore. As such, I’m working on the first draft of Books 4, 5 & 6 so I don’t do that again. Keep visiting my site. I’ll be updating word count and progress. I’m HOPING (crosses fingers) to have the last three books of the series published by the end of the year…but we’ll see. I am so thrilled you’re enjoying the series! Thank you for stopping by and commenting. 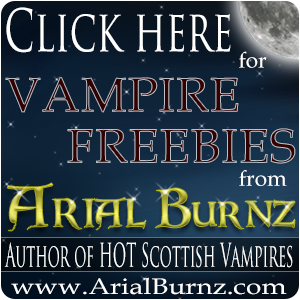 Be sure to sign up for my VIP Club where you’ll not only get updates, but vampire FREEBIES! I just finished Midnight Hunt and went in search of Midnight Eclispe. It is nowhere to be found! I absolutly love this series!!! Do you have an expected release date? As for an expected release date for Book 4, we’re targeting this Fall, but at a bare minimum it should be out before the end of the year. Be sure to sign up for my VIP Club so you will not only be notified when the book is available, but you’ll ALSO get special VIP Club pricing AND we’re looking at releasing the book one week earlier than the worldwide release!! Just visit the VIP Club tab at the top of the site and sign up. I love your blurbs and I cant wait to read the stories. I have been having trouble getting them to download, not sure if it is my computer or what. thanks for the chance. see you at the Facebook party. Thanks, Niki!!! I’ll get with you about the books and downloading them at the FB Party. 😀 Good luck on the drawing and thanks for joining the Club! !